You wake up tomorrow morning, and everything goes as normal. Then, you leave for work. As you leave, you get into your car, back out of the drive way and begin your commute. On the radio, you hear that there is an accident on the highway, and three of the five lanes are blocked. Take the highway, either as you normally would, or take one of the other three routes you’ve already mapped out. According to the “Many Worlds Theory” of quantum physics, you actually make all four decisions resulting in four alternate outcomes, or alternate realities. The choices also result in different futures. 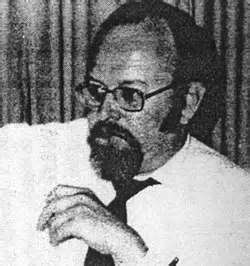 In 1957, American physicist Hugh Everett, III postulated that “whenever numerous viable possibilities exist, the world splits into many worlds, one world for each different possibility”1. A situation can start out the same in all of the universes; however, one small change in decision does result in different outcomes. Because of environment, society, weather, or other issues, a person can make a different choice than they would have under other conditions. In the alternate universe of Fringe, Dr. “Walternate” Bishop comes up with a cure for the genetic disease his son is dying from. Unfortunately, he’s distracted by an Observer and doesn’t realize that he has completed the cure. However, in our universe, Dr. Bishop is unable to come up with the cure. He is, however, able to see when Walternate does, prompting Dr. Bishop to make the decision to go to the other universe to save the other Peter. Another great example of this is in the Dr. Who episode “Turn Left”. If you are a fan of the series, you know what has happened up to this point between Dr. Who and his cool-as-all-get-out companion, Donna Noble (she’s my favorite companion). On one seemingly innocuous day, Donna turns right at a corner instead of left. In turning right, events happen which lead to her meeting the Doctor. However, in this particular episode, she turns left creating a parallel universe: One with devastating consequences for all. Because of the theory that each person’s decisions as well as circumstances have different outcomes, there is time to contend with. Let me explain. He has a heart attack and dies, crashing the plane into a house killing all occupants because the electricity went out and turned off all of the clocks causing everyone to sleep in. He has a heart attack and dies, crashing the plane into a house and no one dies because the electricity didn’t go out and everyone left on time for work and school. He has a heart attack and is able to successfully land the plane on a street only crashing into an unoccupied car. He doesn’t have a heart attack and has a successful flight and landing. With each of these situations the future (time) is different for all involved. Because of this, there are many different outcomes of this one situation (more than what I’ve named) which change the futures of all involved. The possibilities for science fiction stories are endless when dealing with the Multiverse. Currently there are no solid theories for concretely proving the existence of or a way to travel to another universe. Join me next week when I discuss Fringe’s idea of the killer cold virus.